We chat to Paramount Digital Entertainment producer, Ben Hoyt, about the new Live Arcade game based on the blockbuster movie. Kikizo: Having a look at the game I can see it features many ships from the new film, are there any older ships in there is it mainly focused on the new film and battles? Ben: It's new, entirely new; we have the new Enterprise and a bunch of other ships that are inspired by the art style direction of the film. Kikizo: Let's talk about gameplay modes, what can we expect to see? Ben: There are three game types, and each can be played either in the online or solo modes. The ideal scenario - the way we designed - is primarily a multiplayer experience, so the game supports up to twelve players in two teams of up to six, and I think that's where you're likely to have the best experience of the game, is getting online, talking smack, coordinating and strategising with your friends using voice - that's the way to play the game to get the most out of it. But you know, different strokes for different folks, I mean that may be the way I would play it but there are definitely other people out there who may have their own style. So we've included a co-op where you can play with your friends against AI opponents if you're feeling a little non-confrontational, or if you just don't like talking to people at all there's a solo version of the game where you can play the same game with AI team mates. The three game types we have are Team Deathmatch which is a classic first team to 50 kills, type of thing. 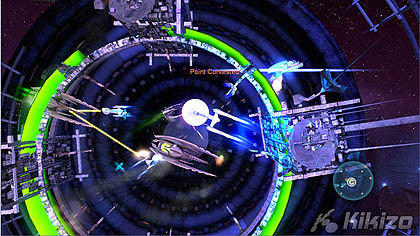 There's a mode called conquest which is more of a traditional control point game where you're trying to capture different sectors of space and hold them against the opposing armadas, and there is a mode called Assault which is an offence/defence where one team is trying to defend a Starbase and the other trying to capture it, and there are turrets and space mines, stuff like that. Kikizo: You mentioned online stats, what can we expect to see? 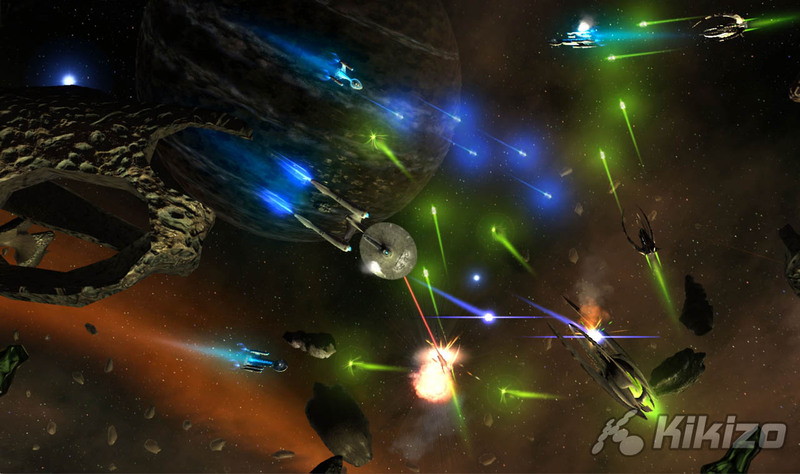 Ben: Yeah we have nine leaderboards, but plenty of stat tracking in terms of your kills and deaths, and how many kills you have with each different ship type, that sort of thing. Kikizo: A plans for DLC in the future? Ben: No nothing has been announced and I think we'll look at it more closely if that makes sense, nothing is off the table either. Kikizo: Finally are there any plans to boldly go, as it were, in future developments in the Star Trek universe? Ben: Um again nothing that been announced, we're really focused on this game right now and its relationship to the film but you know we never want to rule anything out in the future either. Kikizo: Well Ben, thanks for your time. The game will be released in early May on the Xbox Live Arcade priced at 800 MS Points.